Telecommunications provider Lycamobile has paid $12,600 in penalties for failing to comply with a direction from the industry regulator regarding the Telecommunications Consumer Protections (TCP) Code. An investigation by the Australian Communications and Media Authority (ACMA) found that Lycamobile failed to lodge its annual documents attesting to compliance with the code. "The TCP code is designed to ensure good service and fair outcomes for all Australian consumers of telecommunications products," said Creina Chapman, acting chair at ACMA. "The lodgement of annual compliance documents is an important industry obligation as it provides information about a telco’s processes and systems to ensure it adheres to the code," added Chapman. In 2018, suppliers had until 1 September to lodge the compliance statement. Those who fail may be investigated by ACMA. According to ACMA, 358 suppliers submitted code compliance documents in 2017. The industry regulator has investigated those who failed to submit and directed ReddeNet, Globalgig Australia, Vocal Channels and Digital Technologies and Telecommunications to comply with the code. In August 2018, ACMA issued formal warnings to seven providers so far including Lynham Networks, Vostronet Australia, BMP Australia Group, Central Connect, Red Telecom, MyRepublic and Peak Connect. A few months before, in April, it had also issued formal warnings to Your Call Telecom, EHW Technology and Easy Internet Services. "While it is encouraging that many suppliers complied with the code, this is a timely reminder that the ACMA will take action against any that don’t meet their obligations," said Chapman. Where the ACMA finds a breach of the TCP Code, it can issue a formal warning or a direction to comply with code provisions. If a telco does not follow a direction to comply, the ACMA can give an infringement notice or commence proceedings in the Federal Court to recover a pecuniary penalty. In August, Lycamobile was ordered to pay $25,000 in penalties after underpaying an administrative employee by more than $5,000. 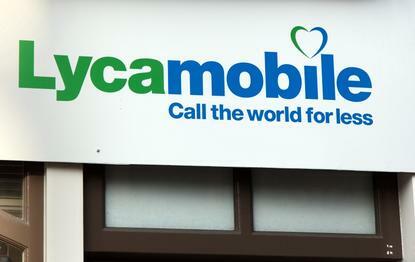 Lycamobile is the Australian arm of a global mobile virtual network business headquartered in the UK, with the company employing 22 people locally.